Roof Ventilation is key to ensuring a long-lived building structure. Efficient ventilation provides your home with fresh, clean air and stops condensation from occurring. With Ventilation Packs at BSO, you can get everything you need to install good ventilation in one purchase. At BSO we have a huge range of dry vent ridge & hip packs from leading brands Manthorpe, Hambleside Danelaw, Klober and Cromar. Dry vent ridge & hip systems are easy to install and very discreet. Providing Ventilation through vent roll covered by tiles, making it one of the most discreet roof ventilation methods. 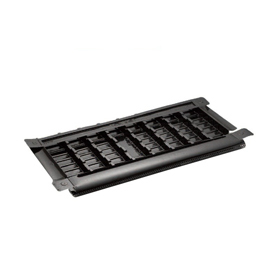 They are very durable and last longer than other ventilation systems. Dry vent ridge & hip systems are compatible with most roofs so are the perfect solution for the majority of projects. The dry vent ridge & hip systems are available to buy in kits saving you time and money. 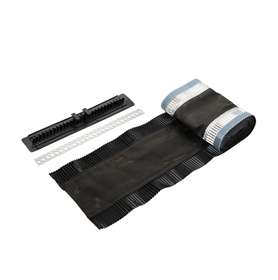 The kits include everything you would need to install a dry vent ridge or hip system. Available in a variety of colours and lengths there is a kit to fit any roof. Universal options are also available which work with almost any ridge tile. Eaves Vent Packs are very similar to dry vent ridge and hip systems but are made with an eaves vent instead of a vent roll. These create a clear gap for warm air to escape and cold air to enter controlling temperature while driving insects and rain away. Eaves Vents are hidden by roof covering when installed making them unobtrusive and compatible with any roof. They are easy to install and do not require any special tools. Eaves Vent Packs at BSO are manufactured by industry leaders Hambleside Danelaw and Klober, both experts in this sector with many years of experience and knowledge. With such a high level of expertise comes an exceedingly high-level of quality and practicality. We are sure you will be very pleased with your eaves vent pack.